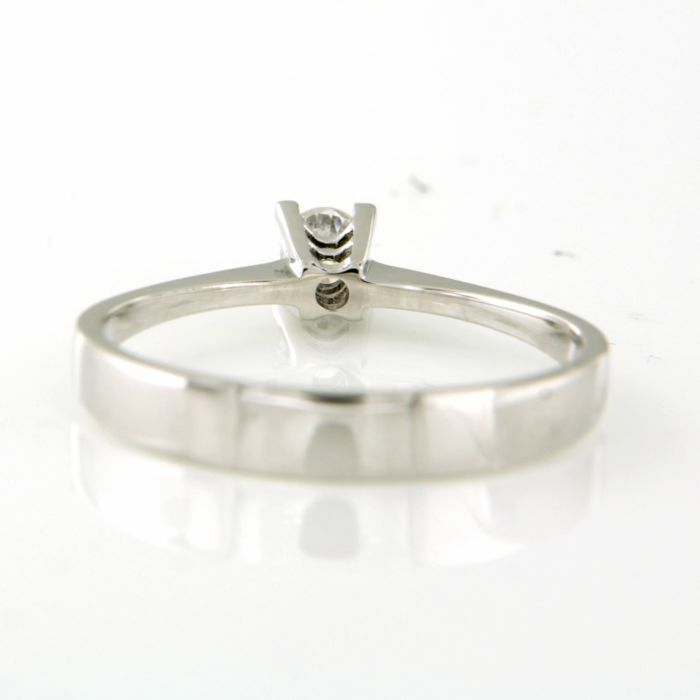 The top of the ring is 3.7 mm wide and 6.4 mm high. 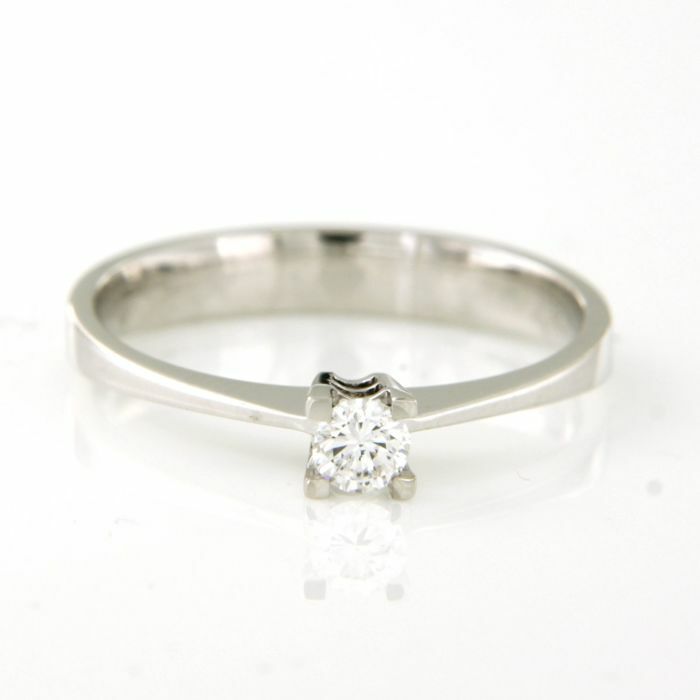 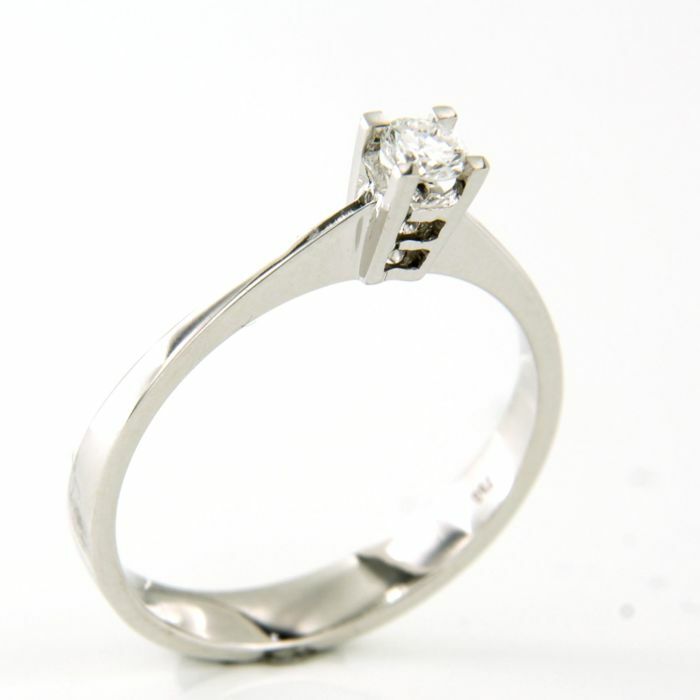 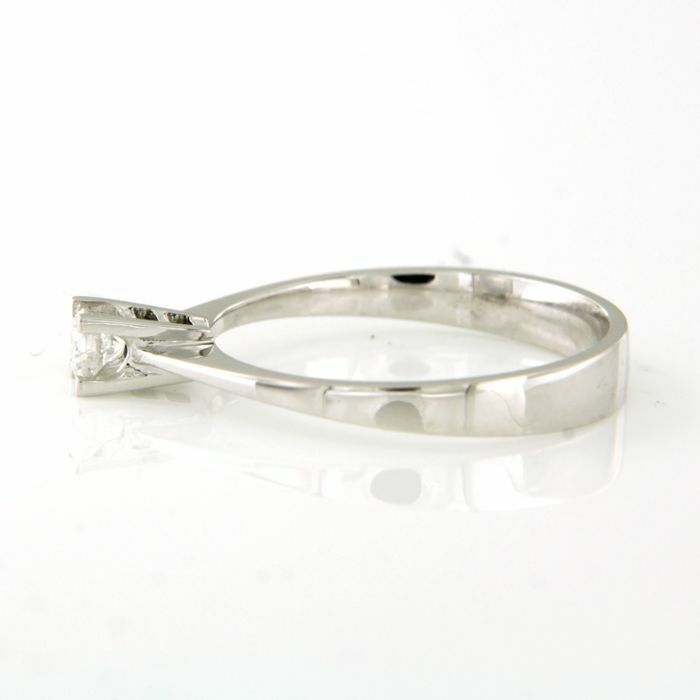 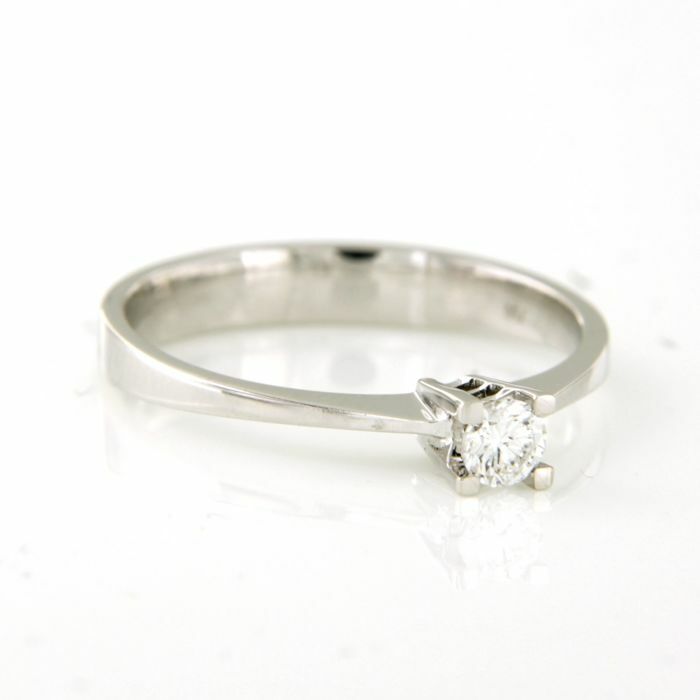 - 1 x 3.4 mm brilliant-cut diamonds of approx. 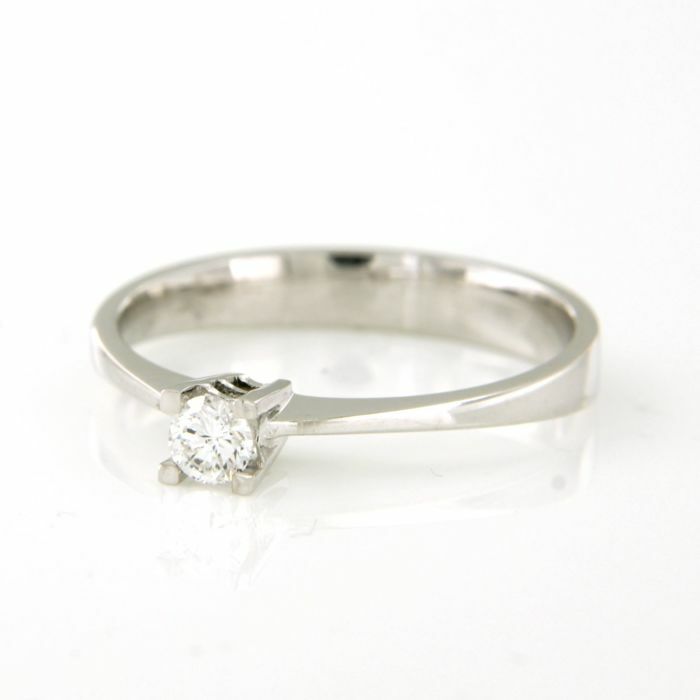 0.16 ct in total. 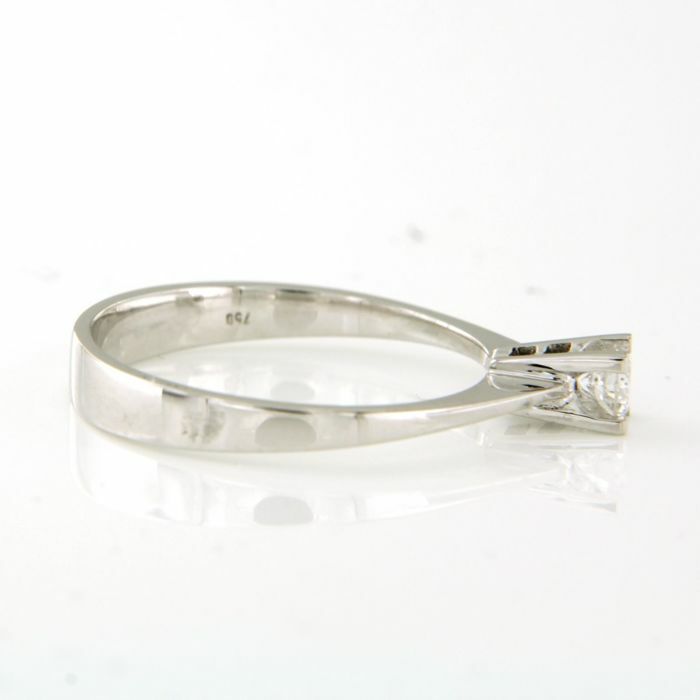 Hallmark present, guaranteed to be 18 kt gold.